A Stellar Weedflower . . . The next time you take a walk through the West Willage, take a closer look at the thin green edges of the neighbothood, the intersections where building wall meets sidewalk, where sidewalk meets curb or light pole. Wild species will be sprouting, even thriving, within these narrow, marginal spots. There is a good chance, too, that the predominant plant in place is common chickweed (Stellaria media). 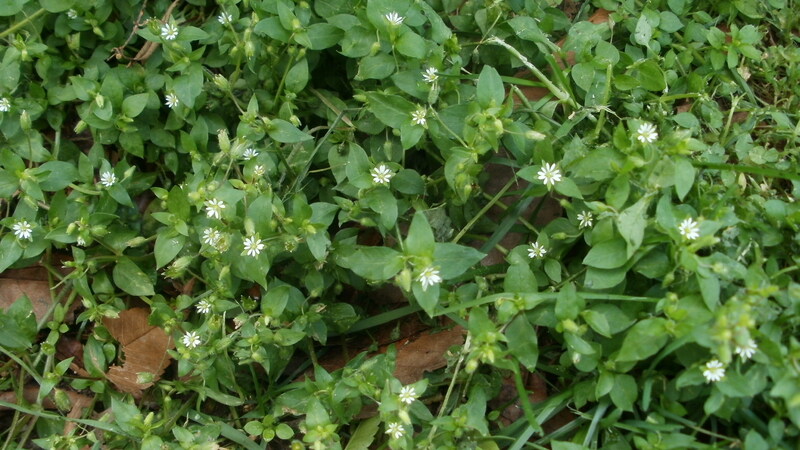 The common chickweed is a prolific ground cover that can spread quickly into dense, interlaced mats of vegetation. A member of the pink family, Caryophyllaceae, chickweed is a cool-weather annual, one of the first to germinate during the growing season. Each spring a plant hunter can find it sprouting green and lush beneath the last snowfall of the season. The tolerance for low temperatures hints at this immigrant’s European origins. Likewise, the bright, vigorous foliage hints at its edibility. Chickweed is one of the more tasty and nutritious of the wild greens that grow in the West Village. The leaves, stems, and flowers of the plant are all edible as a salad green and possess a flavor reminiscent of corn. The flavor was perhaps a favorite of olde world chickens and the source of the plant’s popular name. The bloom of this wildflower is interesting to contemplate. Tiny, and pale white in color, at first glance it seems to consist of ten narrow petals. A close inspection reveals that the chickweed’s flower has only five, but five so deeply lobed as to appear like ten. 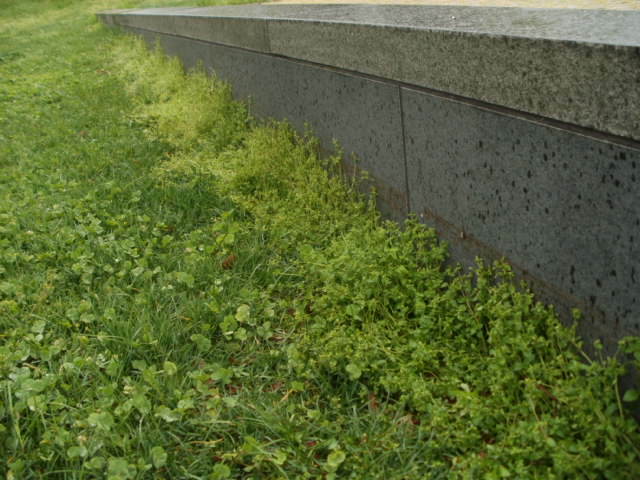 Observation consistently reveals that common chickweed naturally gravitates toward the gaps between man-made structures such as poles and walls and cultivated spaces such as lawns or gardens. I have seen this so often that I now subscribe to the belief that the common chickweed should not be pulled out by the roots and disgarded. This wildflower, if tended regulary, will make a stellar ground cover and decorative greenfill for those narrow or awkward yard spaces usually left barren and exposed. The silver lining is that the tended clippings can be later tossed into the salad bowl.